Sign up in Concessions with your site # and phone # so we can keep track of your carp bag weights. Get free bags in Concessions, fill with carp, bring back for weighing! Winner notified at the end of the week. Fish as much or as little as you want! Fish from shore and pier until 8p. 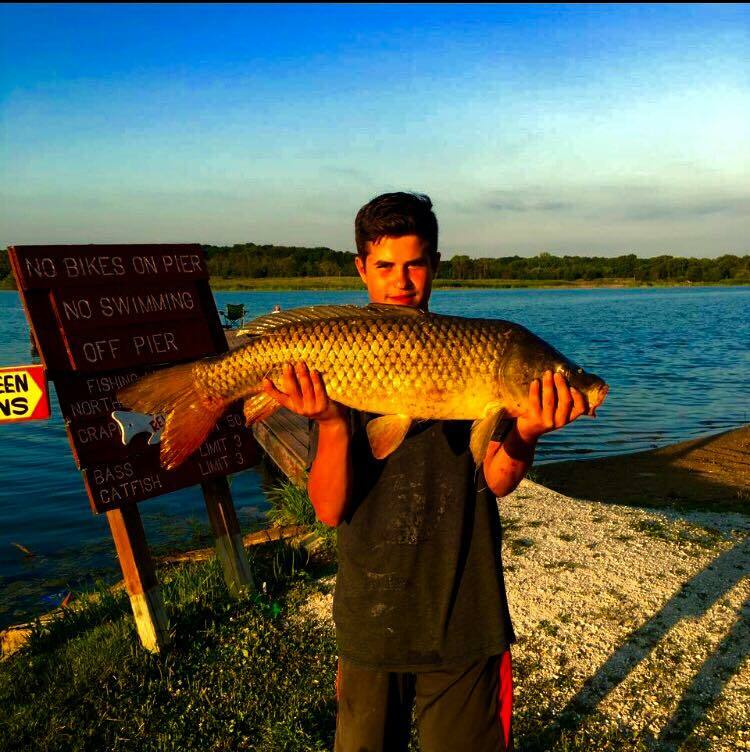 Fishing license required 15 y/o and over. Corn $1 per can.